Your home is a sanctuary from the outside world; it’s where you and your family go to relax after a long day. When you are at peace in your own home, the last thing you want to worry about is unwanted pests. Not only are pests, rodents and termites unsightly, but they can also be damaging to your home’s structure and your personal health. At the first sign of an unwanted visitor, call Pensacola Termite & Pest Control. 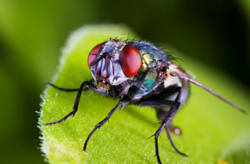 Our team of trained and certified pest control technicians will come to your home or business to inspect the area and provide a free estimate. We can handle pests of all kinds including termites, rodents, cockroaches, ants, and much more. You’ve tried the rest; now try the best! For pest control relief, call Pensacola Termite & Pest Control today! Unfortunately, pests can enter your home through even the most microscopic of openings. Once inside your home, pests can quickly reproduce and cause a much bigger problem. Certain pests such as ants can destroy the woodwork in which they nest, not by eating the wood, but by creating tunnels. Cockroaches can carry diseases that they can transmit to your family, while fleas can use your pet as a host. It is important to call for professional help at the first sign of an infestation. Our team of licensed technicians will not only remove the current problem, but they will help you to prevent a problem in the future. Be sure to ask about our annual service plans which include free visits in between your scheduled service dates. Did you know that termites eat 24 hours a day and 7 days a week? Imagine the amount of damage that can be done in a single month. While most pests are unsightly and dangerous to your health, termites can actually damage your home. Often a termite colony that is not removed quickly can cause thousands of dollars worth of damage. The team at Pensacola Termite & Pest Control specializes in termite inspections which includes a free estimate. When you choose the best to remove your termite problem, you can expect to receive termite treatments, preventative care and the option of adding annual maintenance. Call 850-466-1797 today for termite control services on your commercial or residential property! There is nothing worse than hearing the soft skittering and scurrying of rodents in your basement or attic. 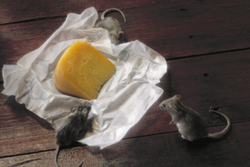 Rats and mice only need to find a small opening in your home to gain entry, and you can almost guarantee that where there is one rat, there will soon be more. With more than 20 years of experience, our technicians are skilled at baiting and trapping rodents of all kinds so that we can safely remove them from your property. After we have removed the problem, we will provide preventative maintenance services such as identifying your openings and closing them properly. For more information about our rodent control services, please call Pensacola Termite & Pest Control today! With more than 20 years of pest and termite control experience, Pensacola Termite & Pest Control is proud to offer Pensacola, FL and the surrounding areas with superior pest removal services for both residential and commercial clients. For more information about our services or to schedule a free estimate, please call 850-466-1797 today!